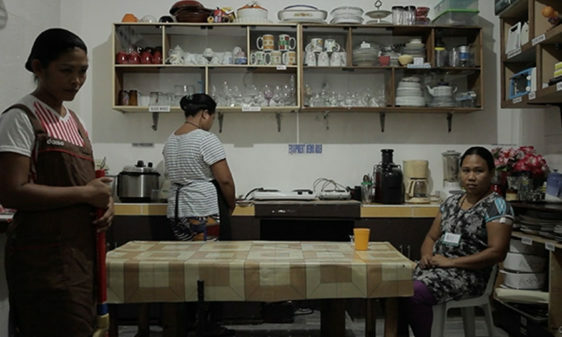 Every year, 200.000 women leave the Philippines to become household service workers. They are sent to rich industrialized countries all over the world. Before going abroad, the women are required to attend a comprehensive training program, validated by a National Certificate. The film focuses on this migration process instituted by the Filipino government. Coproduction: En coproduction avec Michigan Films, le CBA, Le Centre du Cinéma de la FWB, BETV, CANVAS.